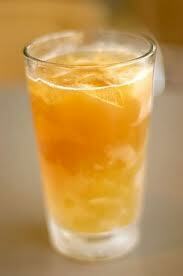 Arnold Palmer drink recipe made with Lemonade,Tea,. How to make a Arnold Palmer with all the instructions and ingredients. Mix equal amounts of lemonade and iced tea, and serve over ice. Laura Palmer View This Recipe! Arnold&apos;s Drink View This Recipe!